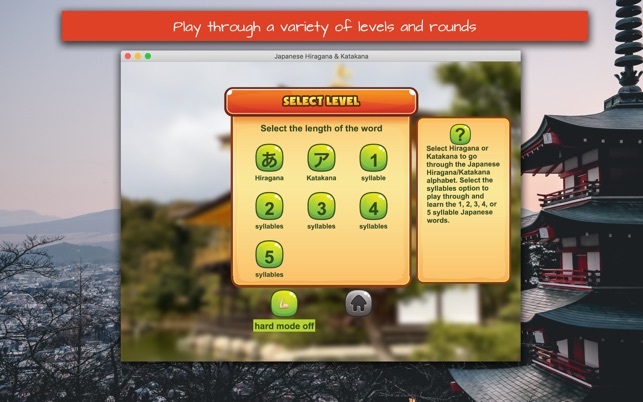 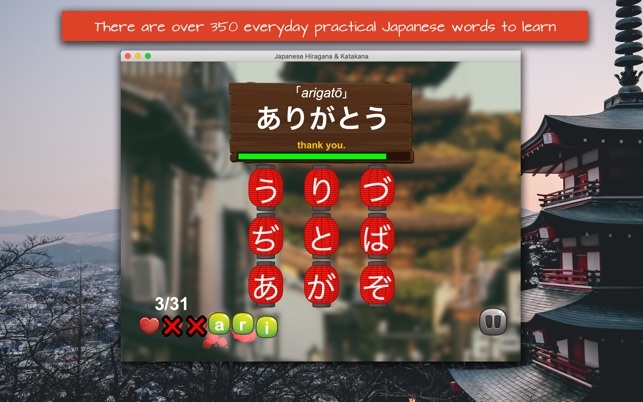 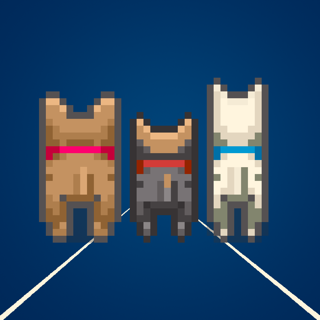 Play through a variety of levels and rounds to help you learn Japanese as they say repetition is the mother of all skills. 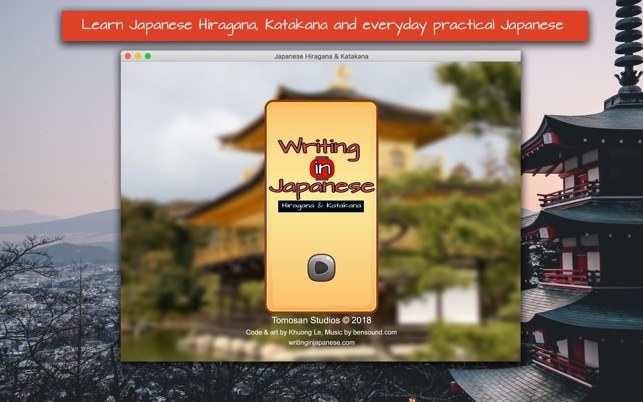 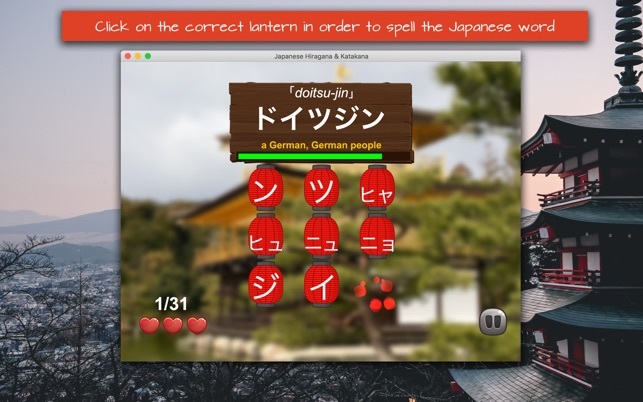 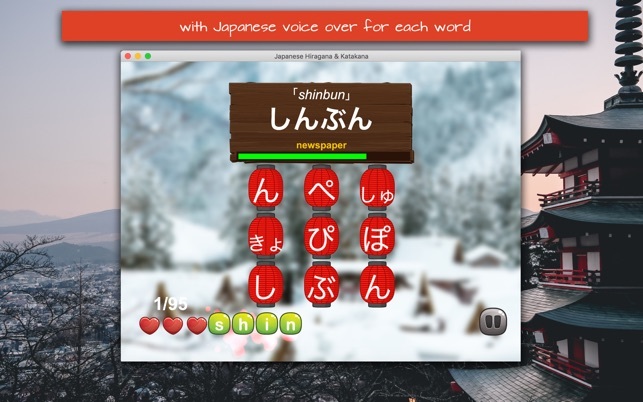 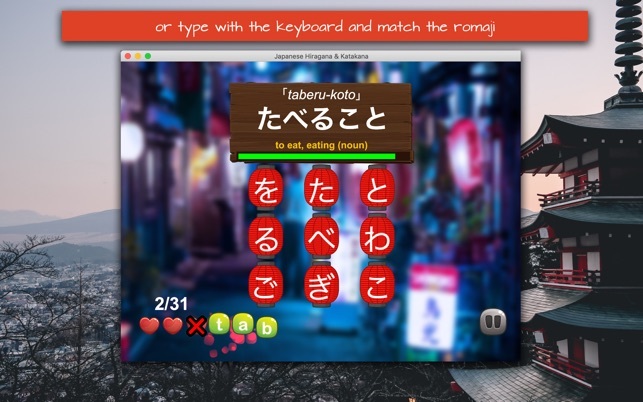 The App is simple to play as you only need to click on the correct lantern in the correct order to spell the Japanese word or type with the keyboard and match the romanisation (romaji). 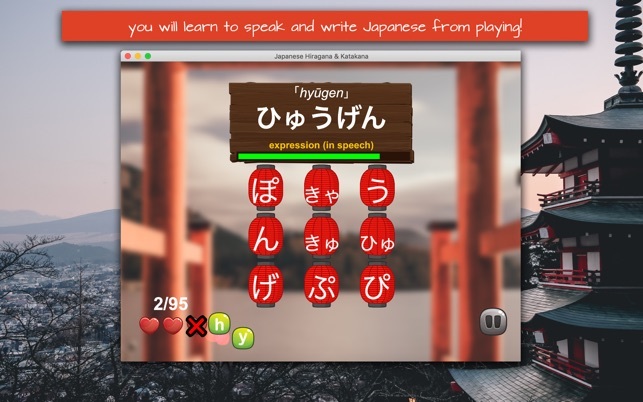 Enjoy the process of playing and learning!